How Do I Start a Home-Based Medical Billing Business? Laureen: How do I start a home-based medical billing business? That one’s interesting to me because my background is, I started out as an occupational therapist and I ran a therapy practice for a number of years, and most of our clients were nursing homes. Then Medicare changed the way the whole billing structure was, pulled the rug out from underneath us, so to speak. We closed that business, but since we had done really good with the billing, we decided to open a billing business. That was going to be our new business. I’m trying to work this properly. I got suckered. I happened to be at one of these nursing homes, and a fax came over that said, “Start a billing business.” I did. I even wired money. I could just kick myself. They did provide training. I went to a training session, me and my husband in Philadelphia. There’s three people there with us. “We’re going to give you a list of doctors. We’re going to show you everything you need to know.” I was so naïve. I asked, “Don’t I need to know coding?” They’re like “No, no. You just enter what the doctor gives you on the super bill. It’s their job to tell you what to code. You’re billing.” I’m like, okay. They set us up with some very basic billing software that probably cost them a couple hundred bucks. I won’t tell you how much they charged us. Off I went to start a billing business now. I went out and I got my first client. I was so excited because I got a contract for 10 percent, and 10 percent is really good in the billing business field, so I was told. I start and get everything set up with my electronic claims and did everything. I do my first batch, and in come the results, the EOB. I get a call from the doctor: zero dollars. Ten percent of nothing. Laureen: He was using a super bill from a practice that he worked at when he was in training, and it was five years old. There were code numbers on there that weren’t correct. And then come to find out, he was predominantly Medicaid. So the codes weren’t correct for his type of practice. At any rate, it was a very difficult lesson, and that’s what propelled me into medical coding. I went out to learn medical coding. Nothing in my area. Drove two and a half hours to take a boot camp in North Jersey. Here I am. Don’t start it my way. That’s just the history. You definitely want to get familiar with the billing. I would not start with billing on your own. I would try and work for a medical practice at least for a year or two to really understand the ins and outs. So when you break out on your own, so to speak, you’ve got that experience behind you. Would you agree with that, Chandra? Chandra: I would agree. Personally, I would run from owning my own billing company, maybe because there’s so many. I know several people that do it and do it well, but over time, they get tired of it real quick because it can be frustrating. You’ve got all of those different things to contend with. You’ve got to make sure you’ve got your liability lined out correctly and who the responsibility falls on. It’s a lot of work. Laureen: Once you learn how to do the business, when it’s your business, then you have to market. That’s a whole another animal. We’re not trying to discourage you. Certainly, it’s a possibility, but it’s a lot of work. You definitely would want to work as an employee somewhere and learn the ropes before you broke out on your own. Some people might work for another billing company and learn the ropes, and then they might have intentions of moving to another area; so they’re not competing with that employer that gave them training. They’re going to go somewhere else hang up their own shingle. That would be the appropriate thing to do. I don’t think it would be very professional to get your training and then go compete against that person. That wouldn’t be very cool in my opinion. Got to get that training. 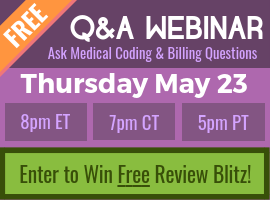 An organization that I love is AMBA, the American Medical Billing Association. We go to their conferences. In the last couple of years, we’ve been a speaker at them. They are wonderful. They are really good for people that do their own billing and they know their stuff. If you’re going to go this path, connect with them. Plug in with them for that type of networking on how to do those things.